and fresh appearance of the Monkey scored high with fans of all ages. 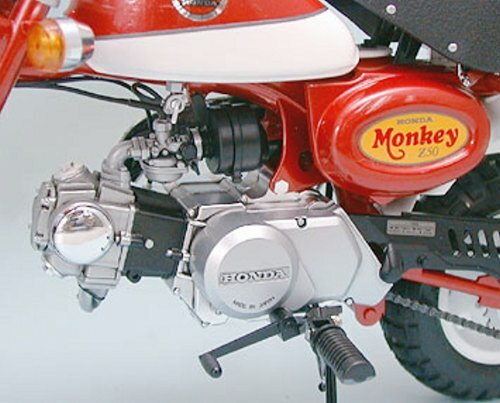 the Monkey, which sported the image coloring of the 1971 Z50Z(2) model. 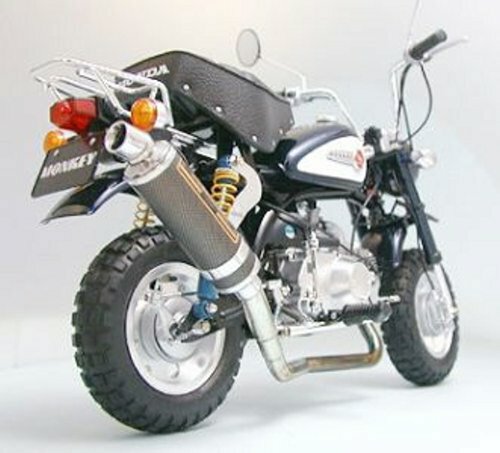 The production of this special Monkey was limited to 3000 motorcycles. 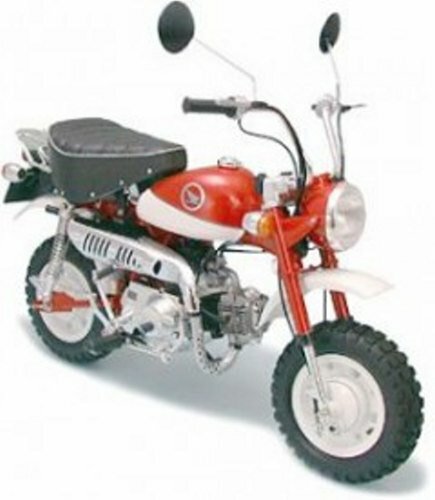 Model features two rear view mirrors, and new environmentally friendly carburetor. Moveable front and rear suspension features metal springs. Handle bars are foldable just like the full-sized bike. 49cc SOHC engine authentically recreated. Vinyl pipe used for various lines. 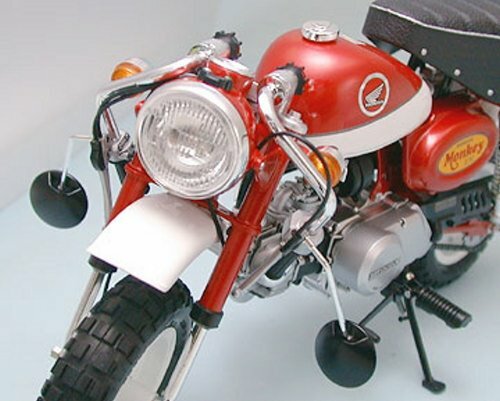 Two kinds of custom option parts including muffler are included in kit. Also included are decals for the 2000 Anniversary model as well as two kinds for the recreation of the standard model.